Restaurants are closed, the weather looks less than promising and it’s offseason. What’s a good kid to do for their mom on Mother’s Day? Learn about gummy capsules, magnetic fluids, kinetic sand, 3-D printers and oobleck — Mom and Dad might learn something too — at Science Sundays at Jimmy’s restaurant, a family-friendly series hosted by the Aspen Science Center. This week, participants will get to create something for Mom, too. 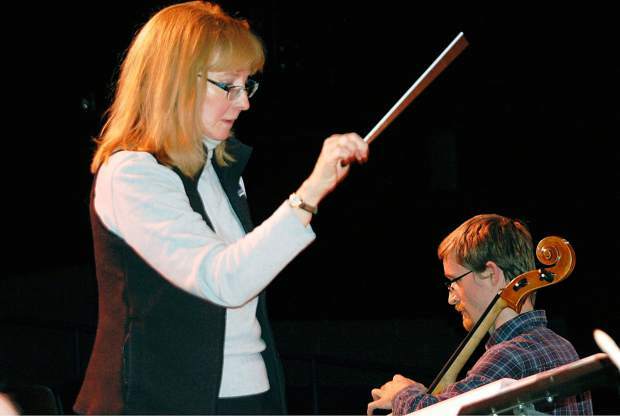 If Mom is a music lover, check out “The Winds of Spring Concert” at 4 p.m. at the Glenwood Springs High School Auditorium. Put on by Symphony in the Valley, this weekend’s concert includes a wind ensemble, selections from “The Marriage of Figaro” featuring two local vocalists and a piano concerto. Upvalley, a recital by young Suzuki violin and piano students will be at the Aspen Chapel at 4:30 p.m. The Mother’s Day Mile is a one-mile race held annually in Glenwood Springs. A fundraiser for the Advocate Safehouse Project, the race involves other activities such as “Roses for Moms,” a silent auction and other fun stuff. Pre-register at http://www.active.com.